With love, as I unfold my energy to you, I express the truth which has been imparted to me through my own process of spiritual growth and the awakening of the Creator within my being. 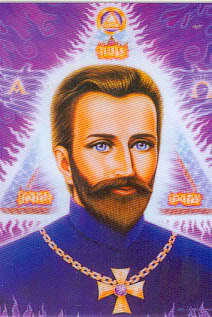 I am Master Saint Germain, it is always such a deep honour to connect with your energy and to speak of truth. There are often many layers of false interpretations within the fabric of the Earth, humanity’s existence and consciousness. To speak of truth allows for many false interpretations which disguise the Creator from you to be dissolved and erased eternally. Seeking the vibration of truth within your being and projecting it into your reality for experience encourages you to be consciously aware of the Creator during your time upon the Earth. With conscious awareness many limitations that you perceived to be true fall away allowing for new limitless ideas and inspiration to form. When we speak of truth, especially upon the Earth, there is an element of competition and survival that e merges from within many people. This is simply a misinterpretation of knowing the truth. As you are aware, to know something is often interpreted as understanding something completely, often holding an element of confirmation. There is often no form of confirmation of the truth, divine wisdom and consciousness of the Creator but there is a knowingness within each of our souls which acts as our guiding light, source of empowerment and encouragement. To know the truth is to feel it and to sense it without truly understanding or having a need for understanding. A spiritual knowingness of truth is very different to an intellectual knowingness of truth. It may often seem as if you are weak if you admit that you do not understand the truth and will of the Creator but this is a beautiful space that you can enter into, accessing a deep steam of freedom from within your being that offers tremendous expansion and connection with the Creator. In many ways it is as if you are letting go of any form of control that you may have upon the world, your reality or being, enteri ng into a space that truly allows you to experience the truth of the Creator. Often revelations of the truth of the Creator will emerge and form within you as a feeling, maybe even as the most beautiful scent that embodies your entire being. Frequently truth will emerge as energy within your being, you may not be able to express this energy but you will notice and recognise its freedom and familiarity to the Creator. Such integrations and awareness of truth cannot be interpreted verbally due to the fact that you are considering the great source and energy networks that are the Creator, trying to describe vastness in a few words. Even as ascended masters we can often have difficulty in sharing or inspiring truth within your being. We often contemplate, how does one explain the multidimensional, expansion, all-encompassing presence of the Creator to bring forth recognition? Entering into a space of freedom and expansion allows for inspiration to arise. I wish to share with you that often if you find yourself in an experience where you do not know the answer to a problem or are unsure as to what your next stage might be, allow yourself to enter into a space within you of freedom and expansion. Being content and breathing as the vibration of freedom and expansion allows the truth of the Creator to rise and form with your conscious awareness. Sometimes it will form into inspiration that is most understandable or other times you can send the energy out into your reality and to the situation to resolve all that needs completion. When you experience a situation where an answer is needed and you simply cannot understand how it would be beneficial for you to react, in that moment you exist in a limited space within your being. You are hindering and constraining yourself and your magnificent inner truth. This could be due to the circumstance or to your beliefs but by entering into a space of freedom and expansion within you , you are able to access the truth that is ever flowing especially between you and the Creator. To discover your space of freedom and expansion, allow yourself to meditate upon both freedom and expansion within your being asking to discover a haven within you that holds both vibrations. You may discover an area of your body or a sacred space such as sitting before the sea or in expansive woods. This is then a space for you to retreat to when the truth of the Creator is required within your reality. The process that I share with you encourages your empowerment and the divine flow of the Creator within your being, raising your energy vibration and dissolving all limitations from your reality, as all your actions and understanding are drawn from the abundant fountain of the Creator rather than the mind. Every soul upon the Earth and the inner planes draws upon the same truth, wisdom and consciousness of the Creator bringing this sacred energy into creative expression and interpretation. The vibration of truth within each being is also the same; it is interpretation of the Creator that allows for so many different teachings, expressions and discoveries of the Creator’s wisdom. Your interpretation is born through the predefined goals of your soul, the dimension of anchoring for your mind and the beliefs that you hold onto. This means that there is no wrong or right answer or expression when it comes to truth but only vibrations and inspiration that are appropriate in the present moment. It is important to be mindful that you are constantly interpreting and expressing the will of the Creator in new ways as you recognise the great expansion of the Creator within you. In 2012 there was a great focus placed upon unity and oneness, encouraging all to recognise themselves as united with all aspects of the Creator. There was a very powerful and essential purpose for this; it was to build the connections of light or networks of light between all aspects of the Creator, consciously strengthening the greater whole of the Creator. Each soul and aspect of the Creator is then able to draw upon the great wealth of divine consciousness, wisdom and truth to serve them in the new era. This in turn offers to you more responsibility because you have a greater access to the divine fountain of energy, wisdom and sacred knowingness of the Creator. It also means that all you experience and create flows into the fountain of the Creator and the consciousness of the dimension you exist within. Each soul becomes an expression of the Creator but also a decipherer or energiser of the Creator. Your ability to consciously feel the vibrations, energy and consciousn ess each and every soul especially within your dimension becomes magnified. No longer are you just pleasing and serving yourself but you are magnifying and nurturing all aspects of the Creator especially within your dimension through your physical reality. If you experience a deep seated love and peace during meditation, these sacred vibrations flow into the consciousness of all who you are connected to and all that is the Creator. If someone else experiences pain in their reality this vibration could be sensed by you on an unseen or seen level. Many of you may have been asked by your guides to detach from the general consciousness of humanity expressing instead deep love, this means that you have connected into another consciousness pool often of a higher vibration or maybe your focus has been placed upon a different dimension within the Creator’s universe. There will always be an element of influence upon you from the consciousness pool that you are connected into and your vibrations will also serve and fuel the consciousness pool. Often people connect into certain consciousness pools because specific truths are held in different consciousness pools, through connection and the focus on unity one can merge with the truth that is needed while also sharing valuable wisdom. During meditation you can ask to become aware of the vibration of the beautiful higher frequency consciousness pool or consciousness dimension you are currently connected with. Ask to only experience love and divine truth of the highest appropriate vibration. You may also ask if there are certain truths held within this consciousness that need to be revealed to you. Allow yourself to sit in meditation with this focus being aware of any vibrations, inspirations or sensations that may enter into your awareness. With every moment souls are bringing to light the truth of the Creator from the consciousness pool you are connected with, enhancing the knowingness of the truth within your being. Allow yourself to be open to revelations of truth. With this understanding it is also important to be conscious of your own thoughts, judgements and actions. With the acceptance that everything and every aspect of the Creator are united in oneness and that you are also connected to a consciousness pool which is fuelling your spiritual awakening, any negative energy you create can have an impact upon all. Imagine you were judging someone, the vibration of the judgment you create would not only be sent to them but would impact upon all souls. This may be hard to understand but imagine that every time you have a negative thought, emotion or expression from your being for another person or yourself, your loved ones are being attacked by the energy you are experience. If this was to occur and you noticed the suffering of your loved ones you would most probably place great focus upon altering your thoughts and actions. I say to you that all of humanity are your loved ones and with the desire and focus for greater energetic unity between souls there is also a need to take responsibility for the energy you are creating and putting into the world, as it impact not only you but all. This is why we ask you to focus upon love as often as you can. Energetic unity upon the Earth is and was needed in order to create the era of love of the Earth. Unity allowed for all energetic networks upon the Earth and within each being to be healed so that all could with divine timing open up to the divine flow of the Creator. With more and more energy networks on the Earth and within your being opening the vibration of love can flow with greater abundance, building momentum for creation and the experience of absolute love on the Earth. Let us all exist in a space of freedom and expansion to allow for the Creator’s revelations of truth.